Beautiful wood wall hanging that adds warmth and elegance to a room. 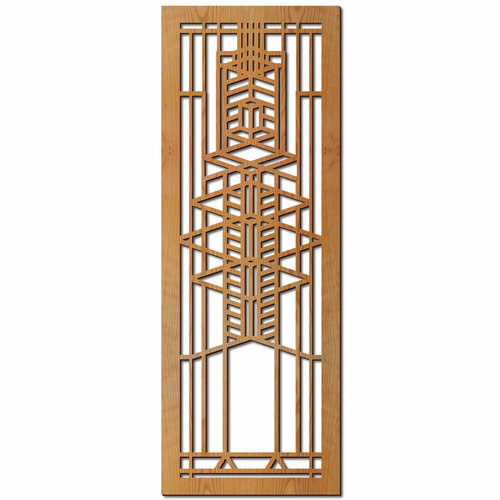 This design is an adaptation from an art glass window found in the Frederick C. Robie House (Chicago, Illinois, 1910). Cherry wood veneer over a MDF core, with a keyhole cut in the back for easy hanging. Made in the USA.